Address : 69 Derby Road, Nottingham, NG1 5BA. There aren’t many places where you can pee on Donald Trump’s face. At least legally. And when the Raglan Road added this hilarious gimmick to its urinals in 2017 it certainly got publicity. 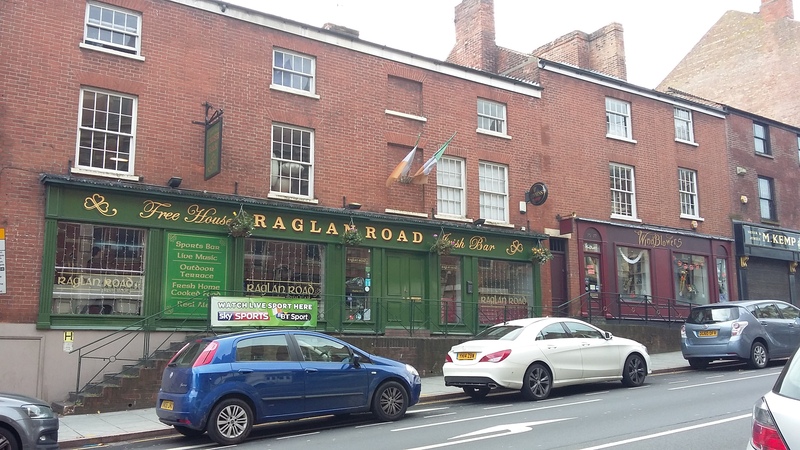 At NottsNight we tend to shy away from the brash and noisy, so at first you might baulk at the prospect of a bar which centres around live sport and music and a generally loud upbeat atmosphere. But the Raglan Road does have several redeeming features, not least its well kept trio of real ales and – as befits an authentic Irish bar – a very good pint of Guinness. It’s also carved into the side of a sandstone cave. And it’s the genuine Irish theme (including GAA sports) which sets this apart from other “party bars” in town. Music? Yes – lots of live performances and various events as advertised on the pub’s website. You may have to escape upstairs to avoid the noise. Food? Pub grub favourites feature on the menu, along with bar snacks and a full Irish breakfast. Customers? A mix of ages and characters converge from the Canning Circus trail, including students who haven’t yet found The Orange Tree. Opinion? What you see is what you get. There are arguably better (quieter) venues around here but the Raglan adds to the overall variety of Canning Circus. And – having Irish roots – this reviewer can verify that its green, white and gold credentials are genuine. 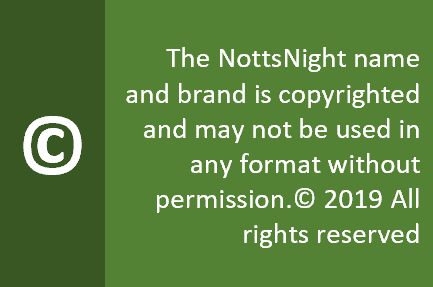 Previous Post NottsNight goes underground!